RAWALPINDI, PAKISTAN (ANS – Feb. 29, 2016) — Thousands of people have protested across Pakistan following the execution of Mumtaz Qadri, the former police bodyguard who in 2011 ruthlessly shot dead Punjab’s governor, Salman Taseer, over his support for Christian mother, Asia Bibi, and his opposition to the country’s controversial blasphemy laws. Prison officials said that Qadri was executed at 04:30 local time (23:30 GMT) on Monday, Feb. 29, 2016, at Adiala jail in Rawalpindi, near the capital, Islamabad, and once the news was out, his supporters took to the streets in Karachi, Lahore, Islamabad and also blocked highways into Islamabad. Demonstrators burned tires and chanted slogans, while schools and markets in Islamabad and nearby Rawalpindi closed early over fears of violence. However, most rallies dispersed peacefully, the AFP news agency reported. According to the BBC, Qadri, who had trained as an elite police commando and was assigned to Taseer as his bodyguard, shot the politician at an Islamabad market in January 2011. He was sentenced to death later that year. Security forces were on high alert and riot police were in place in the area around Qadri’s home in Islamabad. The British Pakistani Christian Association (BPCA) said in a report monitored by the ASSIST News Service that Qadri never repented of his crime stating it was retaliation for the vocal opposition of the ‘holy’ blasphemy laws of Pakistan and Governor Taseer’s support for freedom for Asia Bibi, who Mr Qadri refers to as a kaffir (infidel) and blasphemer. “The family of Mr. Qadri were secretly ushered to the jail during Sunday evening under pretext that he was ill, in an attempt to prevent mass hysteria. A media blackout was also in place preventing the news reaching supporters of Mr. Qadri during the tense early moments after his death,” said a BPCA spokesperson. He went on to say, “The Muslim legal fraternity of Pakistan, on hearing about Mr. Qadri’s hanging, immediately declared a one-day strike. This was later matched by a call for national protests in support of a ‘Muslim Hero and martyr,’ by the leader of Sunni Tehreek, a Muslim political wing of the Barelvi sect of Islam. “Mumtaz Qadri is held in high esteem by the growing number of conservative Muslims in Pakistan. He made history when he received the largest number of Valentines cards of any Pakistani during a court hearing on February 14th, 2011. During the hearing he was garlanded with flowers and praises were sung about his killing of Governor Taseer and [for] returning honor to Islam. Pakistani journalist, Shamim Masih, said “The Christians of Pakistan are in great fear and want the Government to ensure their safety. Threats have already been made to Christian communities and those who have fled their homes to escape to more rural areas will no doubt return to find their homes have been looted. Christians remember the attacks on the communities of Shati Nagar, Gojra and St Jospeh’s colony were mob violence resulted in loss of lives, homes and churches. Wilson Chowdhry, Chairman of the BPCA, asked: “What chance do Christians have for their survival in a nation that openly places hero status on murderers. 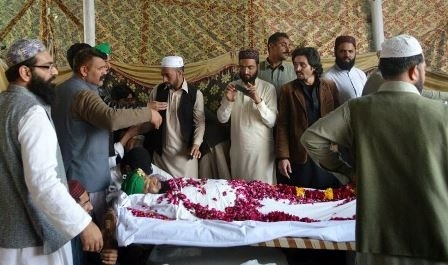 Mumtaz Qadri was involved in the heinous murder of Governor Taseer, an act that traumatized Pakistan and brought to light the extent extremism and hatred towards minorities in Pakistan. “This man enjoyed privileges whilst in Pakistani prisons that few obtain and was able to spread his evil ideology within prison often coercing wardens to punish those involved in blasphemy cases – which contributed to the death of a British prisoner. Most alarmingly the legal fraternity of Pakistan have come out in support for Mr. Qadri and declared a one-day strike, an act that is a clear indictment of the extremism that is ubiquitous throughout all tiers of Pakistani Muslim society. Meanwhile, Asia Bibi, the Pakistani Christian mother-of-five, who was convicted of blasphemy (which she denies) by a Pakistani court, and received a sentence of death by hanging, is awaiting her appeal against the death sentence. Christian minorities minister Shahbaz Bhatti was also killed for advocating on her behalf and opposing the blasphemy laws. Photo captions: 1) Qadri after his arrest. 2) Supporters with the body of Mumtaz Qadri. 3) Salman Taseer with Asia Bibi, a visit that likely was the cause of his assassination. 4) Riot Police have been called in to protect the peace. 5) Dan Wooding with his award from the BPCA. 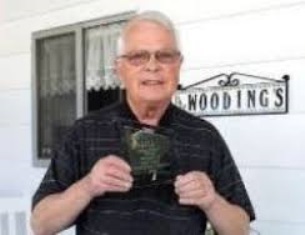 About the writer: Dan Wooding, 75, is an award-winning winning author, broadcaster and journalist who was born in Nigeria of British missionary parents, and is now living in Southern California with his wife Norma, to whom he has been married for more than 52 years. They have two sons, Andrew and Peter, and six grandchildren who all live in the UK. 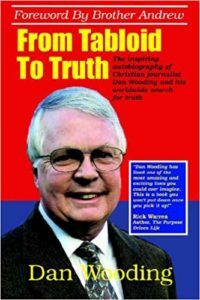 Dan is the founder and international director of ASSIST (Aid to Special Saints in Strategic Times) and the ASSIST News Service (ANS), and is also the author of some 45 books. Dan has been a given award by the British Pakistani Christian Association (BPCA) for his reporting on the plight of Christians in the country.